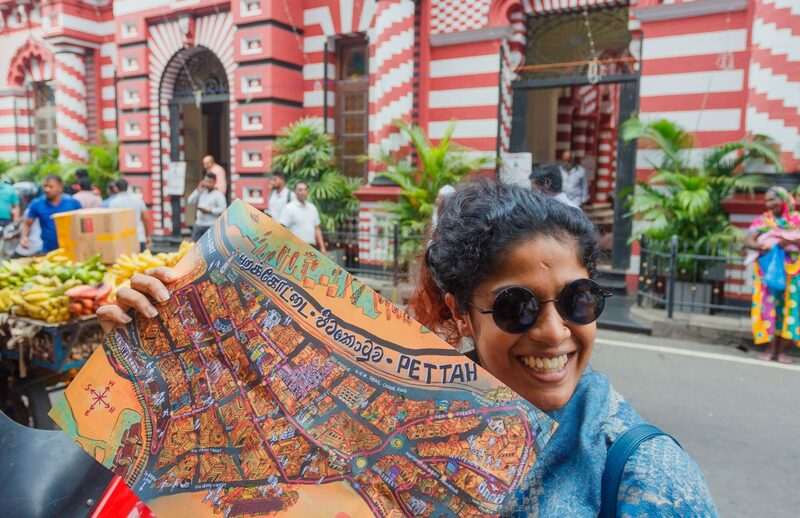 It’s easy to get lost in the streets of Colombo Pettah, and it’s also good fun to get lost in the streets of Pettah! 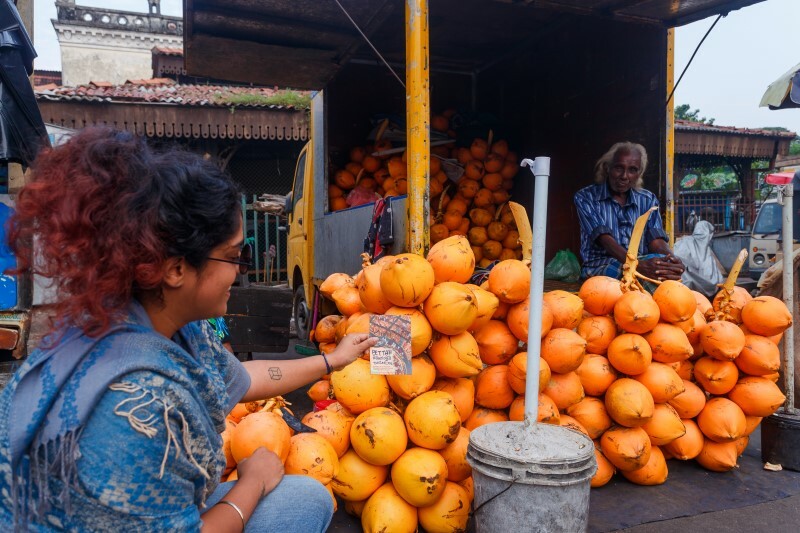 Finding your way in the chaotic crowded maze of streets and little alleyways is part of the experience of visiting Colombo’s No.1 street bazaar. The sights, smells and the sounds may be a bit intimidating but people are friendly and are always happy to sell you anything you never knew you needed, some plastic flowers, coloured ribbons or a handmade broom perhaps? 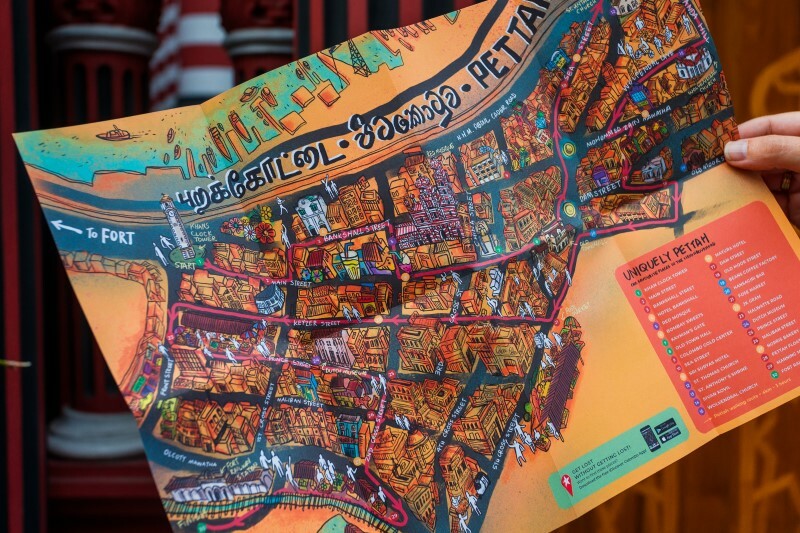 Yet, getting lost here may soon be something of the past with a new Pettah neighbourhood map. This beautiful bright and small map highlights the market district’s must-see places and hidden gems. 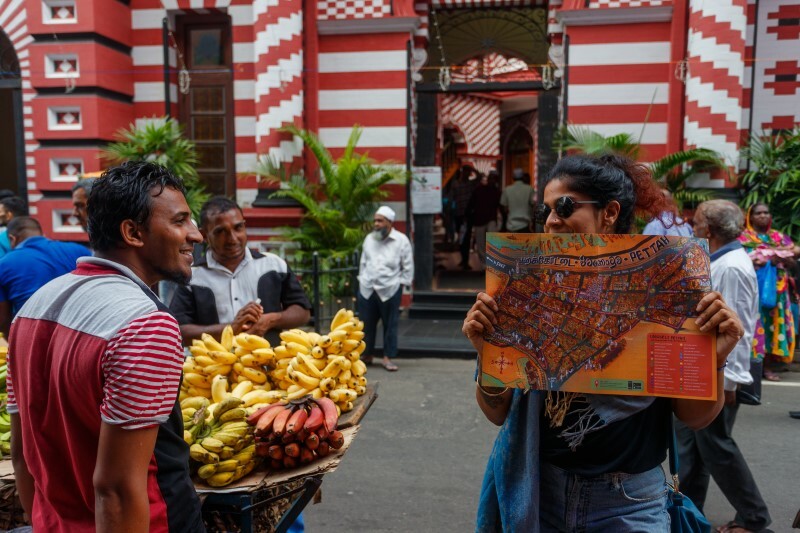 It’s curated by the friendly folks from Colombo Heritage Collective – they handpicked 30 sites to see, shop, drink and eat – and designed by local artist Ruwangi Amarasinghe. We caught up with Ruwangi in front of the famous Red Mosque to find out about her creation, inspiration and of course her favourite places in the neighbourhood. Why did you choose the orange colour for the map? Orange is a happy energetic colour. 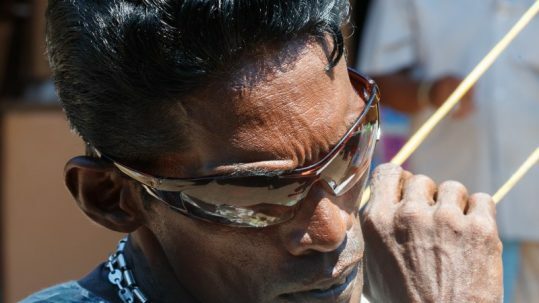 In Pettah everything happens at daytime when the sun is out; the place is hot, bold and loud, people are sweating and shouting. I wanted to capture that energy, the hustle and bustle of the street life. The people and streets of Pettah are often featured in your work, why this fascination with the neighbourhood? I connect to the place. I can relate to the chaos, it’s messy but in a good way, a kind chaos, like the one in an artist’s mind… I’ve been coming to Pettah since I was a child, but only really started registering the place when I was at art school. At the Academy of Design, we’d come here all the time to get paper, paint and other art supplies. It’s then that I rediscovered the place and fell in love with it. I learned to navigate the streets and found so many interesting places. I love observing people and in Pettah there’s always something going on, the beauty is in the small things, there are so many stories to tell. Your map is so amazingly detailed, how did you do that? I used google maps street view to see what each building looks like at street level, it takes a lot of time to zoom in and out, but it was fun drawing the street scenes. I had done illustrations of one street before, but never the whole neighbourhood. I always go to Bombay Sweets when I’m here, the original one at 1st Cross Street. Their samosas are the best. And as an artist I love browsing the stationary, paper and art supplies shops, I never leave empty handed. I love how Pettah stays the same, but at the same time there’s always something new. A new shop has opened in a little alleyway or there are new gadgets on offer. I hope for Pettah to stay the way it is. 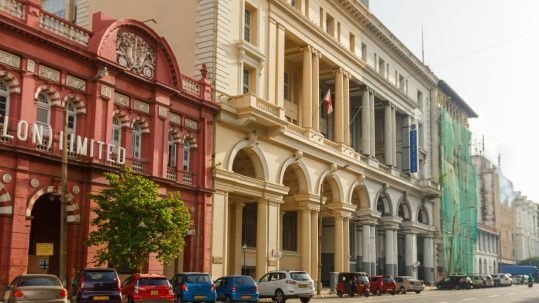 In so many other parts of Colombo you see skyscrapers replacing the old buildings. Look at what’s happening in Fort and Slave Island, the places are losing their soul. I hope Colombo Pettah can stay the same, it’s perfect the way it is. See Ruwangi at work, this 30-sec video shows her showing her amazing skills and remarkable attention to detail. Want to get lost in Colombo Pettah without getting lost? 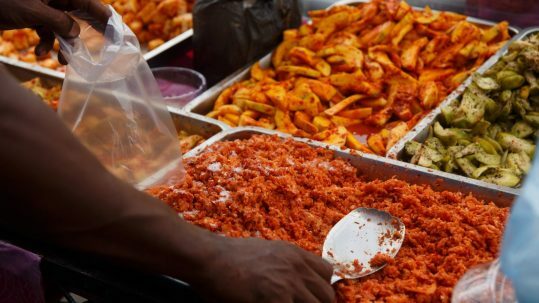 Find all these local eateries and much more in the iDiscover Colombo Guide featuring four handcrafted itineraries that show you the honest and authentic places in the city’s most historic neighbourhoods: Fort, Cinnamon Gardens, Slave Island and of course Ruwangi’s Pettah. Comes with a free navigational app! 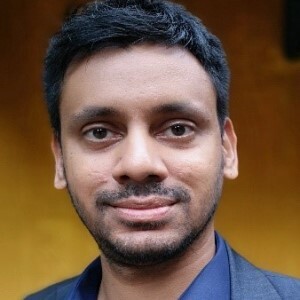 Ruwangi Amarasinghe is a wanderer and wonderer. 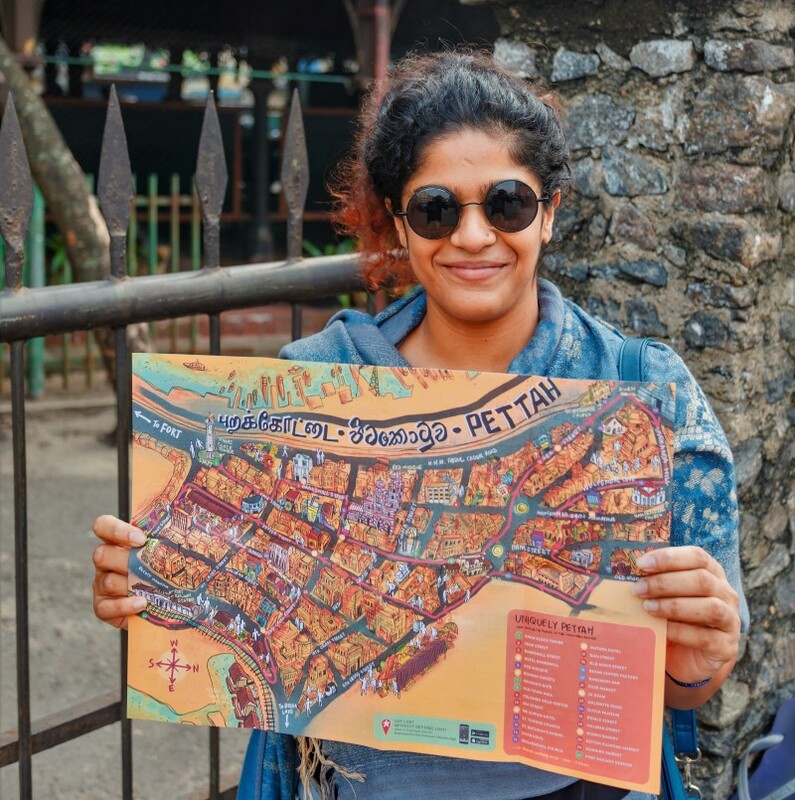 Her vibrant and colourful style brilliantly captures Pettah’s buzzing energy. 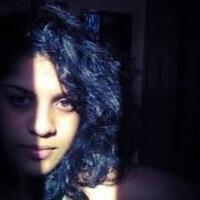 Follow her at @roobixcube.